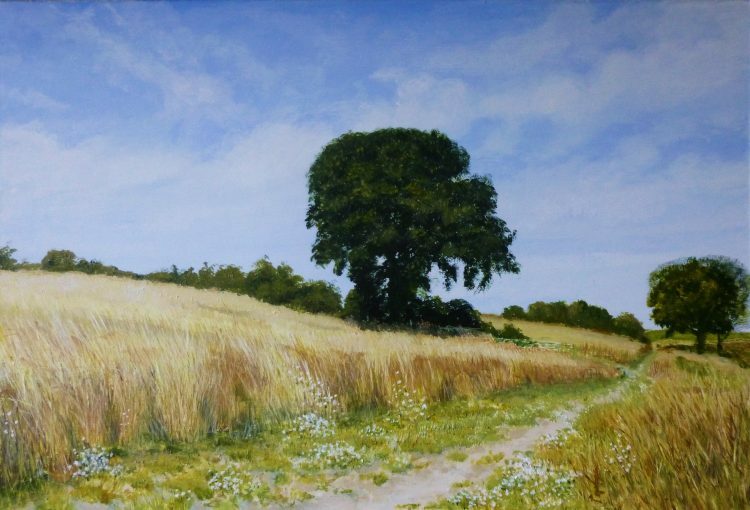 I finished Fingringhoe Wick: July yesterday afternoon – and here is it! This path is at the bottom of the sloping field, leading to Margaret Hide on the inter-tidal area. In the spring time the field was full of sheep, but now the grasses have all gone to seed and it is just a hay field.